Good Morning! I hope you're off to a great start this week. I am - can't complain. The sketch is up at Tuesday Morning Sketches and it's a great one! I'm sponsoring, too. So my card didn't turn out as I was originally envisioning. I was thinking liquid pearls, texture - I was thinking so much more and forgot half of what it was! But I am still pleased with the results. I designed the sentiment, it's a little crooked, but it's funny and it reminded me of my friend Evelyn. I do hope to see you join us this week. Have a great Tuesday! Hello everyone! Super quick post here - it's actually Wednesday night and my stomach just hasn't been right for a few days, so I'm turning in early. Yep, it's time to start working on the Mother's Day greetings gifts. My mom wants a topiary like I made Hollyanne (see last Sunday's post). So I guess I better get to work. 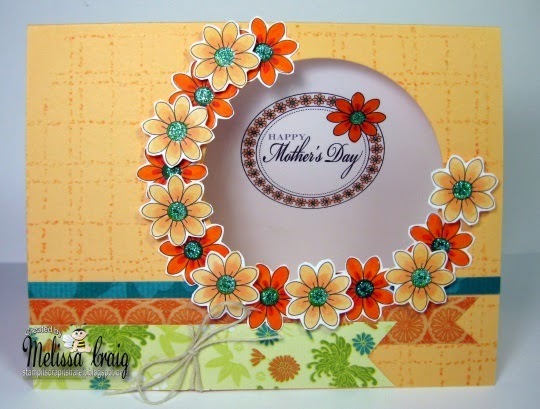 My card that I made for the challenge features Bouquet Daisy Set. Love this digi set. I printed several of the flowers and then layered them around the circle opening in the card. I printed the greeting on a layering size of the inside and then finished it off with some glitter glue. It was an easy card to put together and I think it turned out very nice and cheerful. 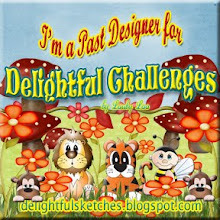 Head on over to Delightful Challenge blog to play along. Good Morning! 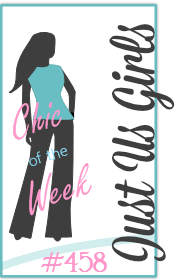 It's Tuesday and we have a great sketch from Jessi to play with this week and we have a fabulous sponsor. Dies R Us is joining us this week. I'm not sure how I stumbled on this fun store, but I am sure glad I did. I kept my card Clean and Simple but I love how it turned out. I've been pulling out so ooold Stampin' Up! paper lately. Gotta love the classics right? 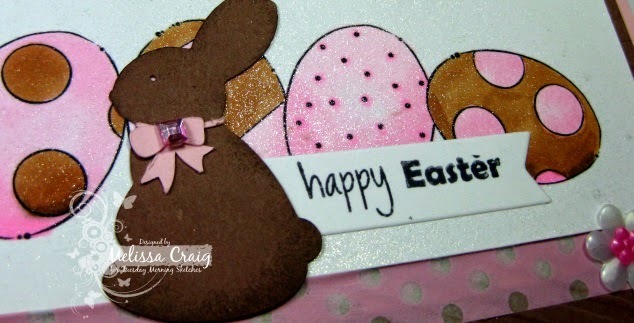 My card features a die from Blossom Tags & Accents by Spellbinders. The sentiment is from an SVG cut I found at the Silhouette Online Store. This is one for easy mailing. Please pop on over to TMS and join us this week. Have a great day! Hello everyone! Happy Easter. I do hope you're enjoying the day with good food, family and friends. It's pretty laid back for me today. My daughter colored my hair, I have Cardamom-Orange Bunnies in the oven (these are so cute - I hope they're yummy). Anyway, so I'm working on an Easter basket of goodies for my landlord, hence the home-baked bunny buns. 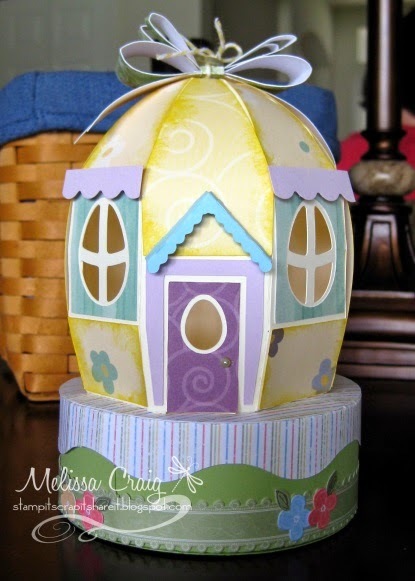 I also made an egg house by SVG Cuts. This is from the Cotton Tail Village set. This is actually the very first project ever that I've made using one of their 3D svg files. I think it came out adorable despite the issues I had cutting it out. So here's the house. I used some really old papers from both Stampin' Up! and Creative Memories. The Stampin' Up! 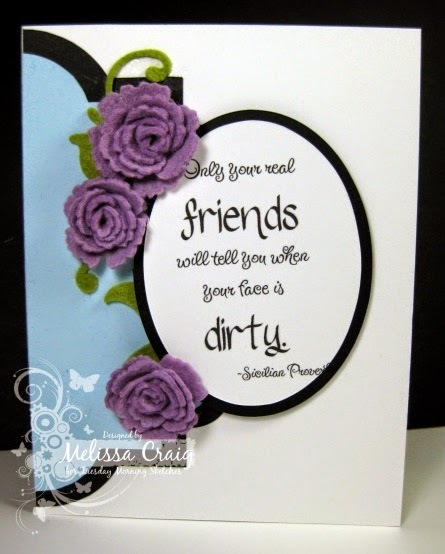 products came from a Stampin' Memories kit called Just Delightful. It is undoubtedly 7 or 8 years old. The paper from Creative Memories is from a package called Memories & Moments. It had the perfect pastel colors. Inside I put some Hershey's chocolate kisses and Jordan almonds. And then decorated it with just few stickers from the Stampin' Memories kit, a scalloped piece for over the windows and topped it with a paper bow from the Silhouette Online Store. Like I said, I had some issues with cutting it out using SCAL. It's not cutting according to placement on the mat. After 3 attempts, I went with the best cut out pieces so some of the tabs were a bit short, but it still went together nicely. I loved this challenge because I get to show off the sweet Bertie Bunny image but it also allowed me to play with a flower that I've had in my svg arsenal for awhile now. I love how Bertie Bunny ended up being the perfect center to this flower. 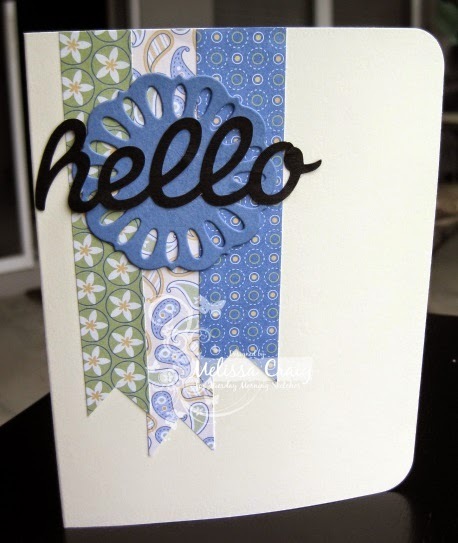 I created the card basing by cutting out two pieces of card stock using the lattice rectangle die by Spellbinders. I scored the back panel about 1/2 inch down from the top and then glued the front panel onto the back at the score line to the top edge. Really easy and so cool looking! I cut the flower out using my Silhouette Portrait, layered it according to the cut file and then added the focal image to the flower. 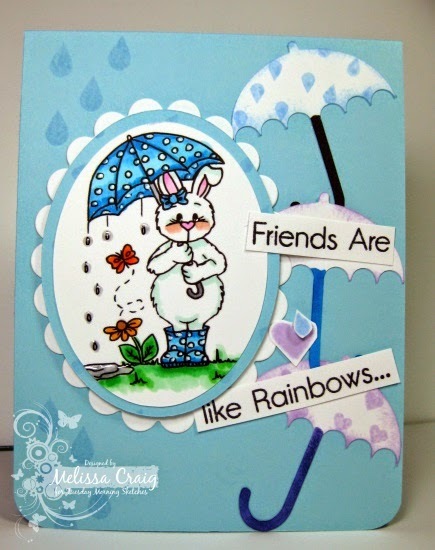 This was such an easy card to create and I am super pleased with the results. 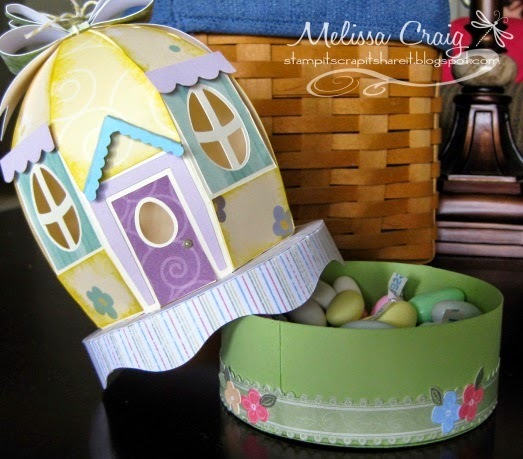 I have a really sweet treat Easter project to share with you. This is a fun carrot box by Kelleigh Ratlaff that I really enjoyed making and decorating. You can find it here at P & Co. 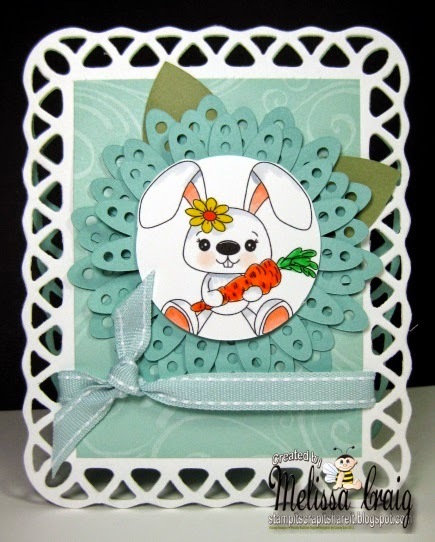 I created the bunny medallion with some punches and inspiration I found on You Tube. I'll link it up here when I find it again. Anyway, just sharing a super quick Easter treat that you can create in a matter of minutes to give the Easter bunny a helping hand. Enjoy! Good Morning! It's time for a new sketch at Tuesday Morning Sketches and it's up and ready for you to play with. 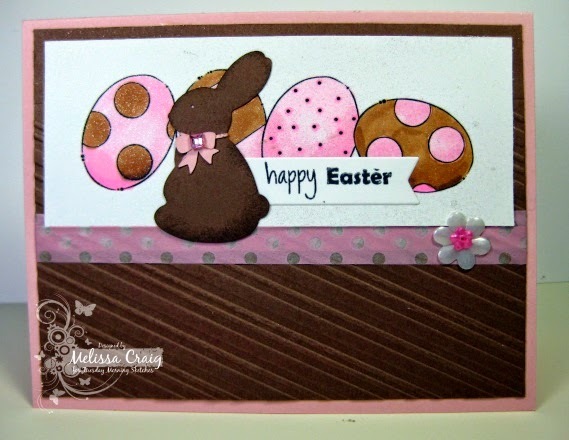 We have a great, new sponsor - Sami Stamps is with us and I am featuring one of her adorable digis Egg Cluster. I really wanted a chocolate theme to this Easter card. I love pink and brown anyway. I picked up this really cute washi tape at Hobby Lobby and I really wanted to use it - so this worked! 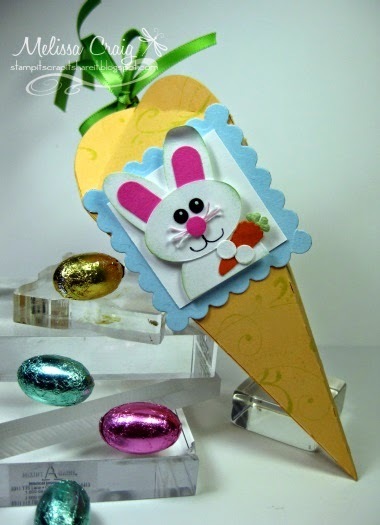 I grabbed a chocolate bunny svg from the Silhouette Store which worked perfectly, too. This is a close up to show you the shiny stuff I spritzed on it - I forgot I had this stuff. It's purty! Hello! Happy Monday. I hope you all had a great weekend. Mine was good. The weather was gorgeous and I was able to spend some time at my craft table. I love how this looks! I should've added a bit more green and little less blue, but I really love this! I was pretty easy. I put ink on an acrylic block and then spritzed it with water and then stamped. After I dried it with a heat gun I added the stamping. I did go to Hobby Lobby on Saturday so I picked up a package of sequins and added these to the card. 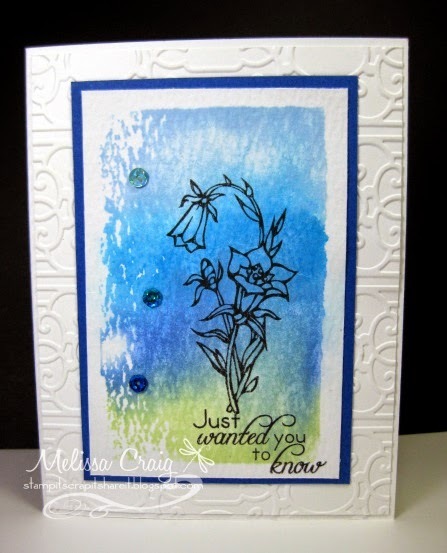 The stamp set is one of my favorites - it's called Bloom by There She Goes Stamps. Of course, that shop has been closed for awhile now, I do hope Chris Dark (illustrator) has made her designs available somewhere else. Hello! I hope everyone is enjoying a wonderful weekend. My kids didn't go to Clearwater as planned so my weekend was a little different than I had in mind, but that's OK. So this week's Silhouette Sunday share is a topiary that I have literally been working on for months. Here's why.... I made the little pot and then the whole project went into thinking stage. It stayed there for weeks and weeks. Then I finally bought styrofoam balls. Put some of it the pot. Then it went back into a holding pattern. 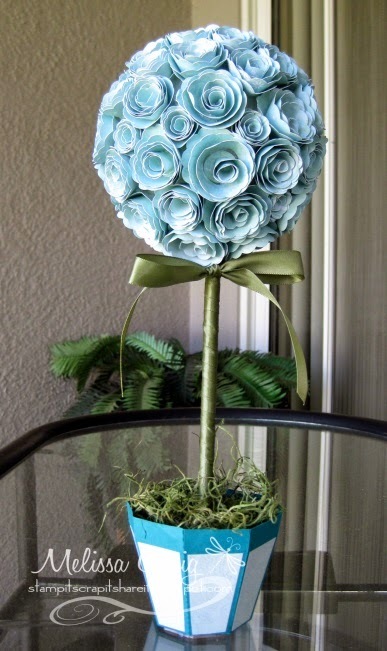 About 4 weeks ago I cut the roses and started gluing them on and then ran out of the paper I using. Ack! But fortunately I found someone on Splitcoast Stampers that had a package of this paper but she mailed it to my old address so it took about a week or so to get it. I got the paper about 2 weeks ago. Yesterday I finally sat down, cut out the last 19 roses that I needed and finished the project. My daughter loves her tree. It stands about 18 inches high. The pot should be bigger, really, but I'm limited on space with a Portrait. A word of caution if you decide to make one.... don't push the dowel all the way to the bottom of the pot.... it will not sit straight. I am speaking from experience. 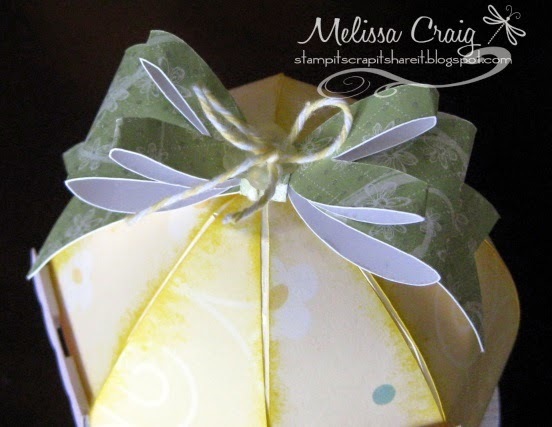 I'm linking up to Lori Whitlock's Link Up Party - flower theme challenge. Hello! It's time I start sharing what I've been creating with the amazing designs by Kelleigh Ratzlaff. Up first is an adorable scrapbook page featuring her newest digi papers and stickers. Sunshiney Spring paper pack and Sunshiney Spring Sticker Elements. These are my boys, Brendan (9) and Levi (5). Even though the elements have a soft, feminine quality they worked really well with the sepia toned photo of my silly sons. 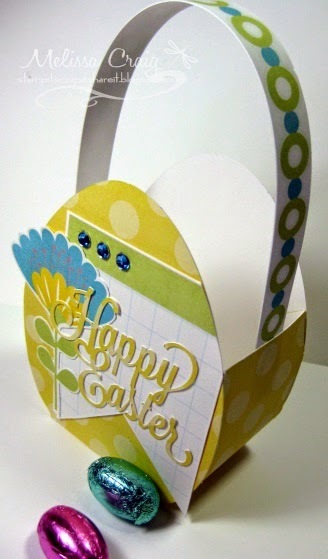 Next is an Easter Egg Basket cut file also featuring the same papers and sticker elements. Using the print and cut function on my Silhouette Portrait, I printed one of the borders in the sticker elements and then cut it out to create the handle on the basket. 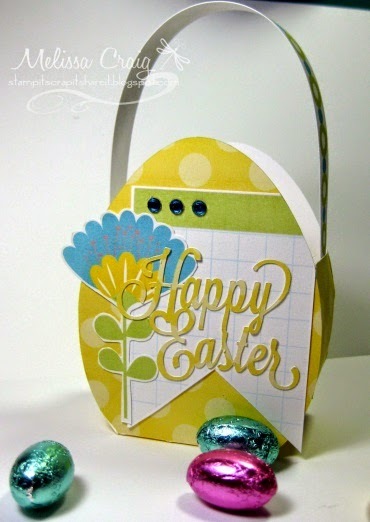 Just a note, the "Happy Easter" phrase is just something I found in the Silhouette Online store that complimented Kelleigh's designs perfectly. Thank you so much for stopping by. And hey, since you did, how about leaving me a comment so I know it was you. I am really proud of my coloring. I took some tips from former (and very missed) DT member Laura Nehring and I love how it turned out. The umbrellas are a cut file from Silhouette. The sentiment and other additional stamps are from a retired stamp set by MFT. The inside has a completed greeting but I messed it up so it's fuzzy. I ran out of time to fix it before I had to get the post ready. I will before I actually give it to someone. 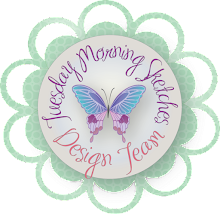 Please join us at Tuesday Morning Sketches - we'd love to see what you do with this challenge. 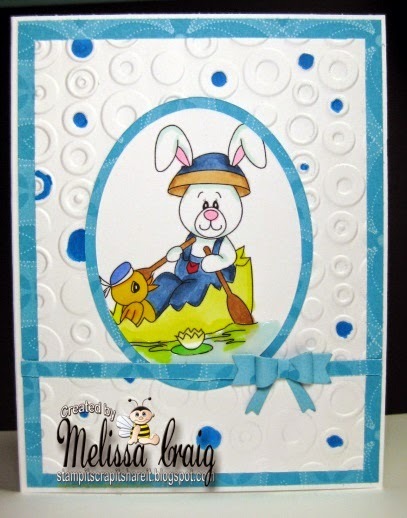 Melissa here, I have a pretty card to share with you today that may have an egg on it, but it doesn't necessarily have to be for Easter. It doesn't have an Easter greeting. I found that it's super easy to decorate this Center Step card with washi tape. The ink I used is a Distress Ink by Ranger, Peeled Paint. I hope enjoy my card and that it inspires you to pick up any one of the dies (or all of them) and come up with amazing cards. Have a great day! Hello! Happy Saturday. I'm looking forward to today, I get to craft all day so that I am free to spend the whole day out with my daughter tomorrow for her birthday. Today is the last day she and Levi will be the same age. 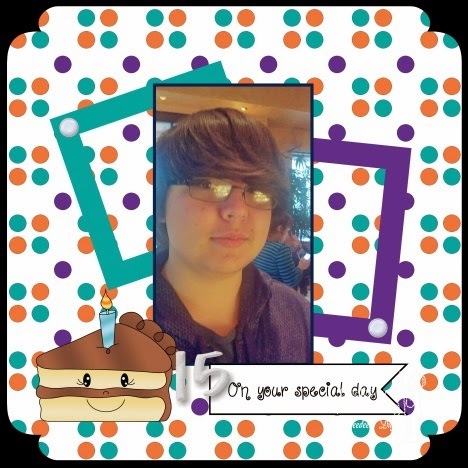 So I created a quick page to celebrate Levi turning 15. Yes, my sweet baby is 15 and a sheep-dog. I keep telling him I'm going to spike his milk with Benadryl so when he's sleeping I can shave his head! LOL Just kidding. But I would like for him to get a haircut. This week's page features paper from Party Animals and image/sentiments from Sweet Treats. 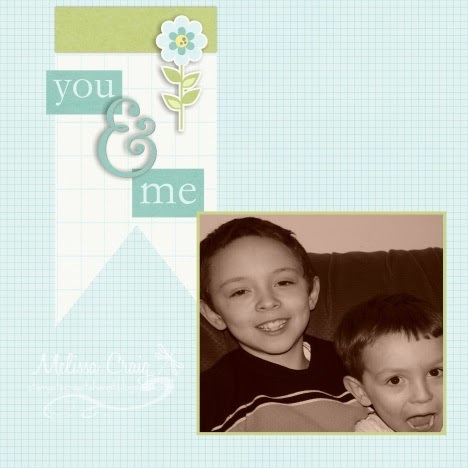 The frames I created with the My Memories Suite software and then used the color match feature to match to the colors in Deedee's paper perfectly. Good Morning! Happy Tuesday. 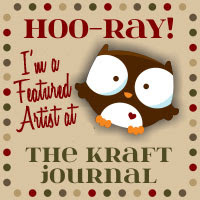 We have a really fun sketch by Debbie posted on the TMS blog and we have a great sponsor, a new one. Sunflowerfields is with us, a sweet little shop based in Finland. 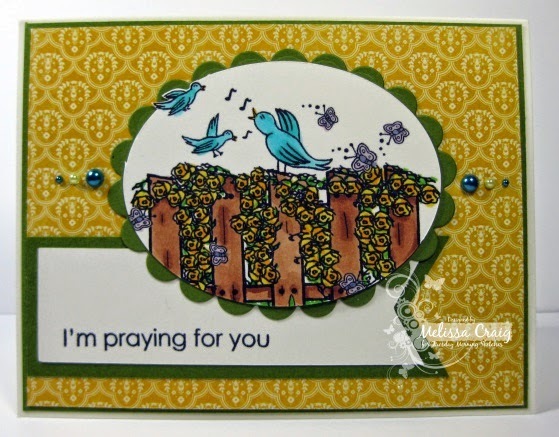 I got to use a lovely digi called Rose Fence. I think I'm going to send this to a dear friend of mine who needs a little encouragement. 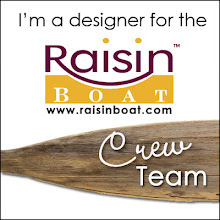 The sentiment is from Raisin Boat. Please head over to the TMS blog to play along. Have a fantastic day!